The Irish meaning of Temple Rí translates as 'Church of the Kings' this is due to the fact that at least seven generations of Melaghlin Kings are said to be buried here. 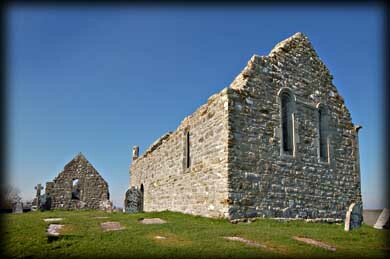 As Clonmacnoise declined as a thriving necropolis, the churches were used more as royal burial chapels, each church associated with a different dynasty. This building dates to c.1200. 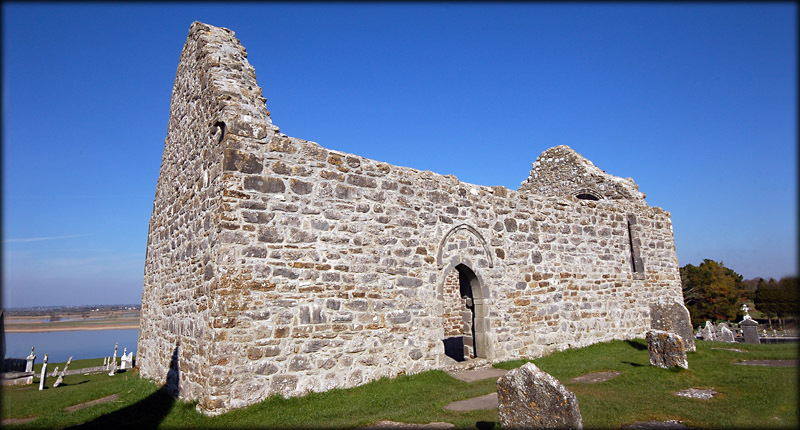 The moulded east windows, pictured left, are typical of a late Romanesque/Gothic transitional style unique to Ireland. There were modifications to the church in the later medieval period. Situated: In the main complex east of the Cathedral behind Temple Dowling. Discovery Map 47: N 0100 3064. Last visit March 2011.